Originally from Kuujjuaq, Nunavik (Arctic Quebec), Taqralik Partridge is a spoken word artist, writer and throatsinger of Inuit and Scottish heritage. As an urban Inuk, Taqralik – now making Montreal her home – speaks to city life in the south with a unique style grounded in the tradition of Inuit storytelling blended with gritty urban speak. Taqralik weaves real-life stories with choppy rhymes, barely-breathed lullabies and throatsinging, – and does not shrink from heavy subjects like sexual abuse, violence or poverty. Geronimo Inutiq will accompany her to take full advantage of the musical portion of her amazing talent. Using electronic music equipment, Geronimo Inutiq presents sounds and music referencing dub, electronica, urban music, electroacoustics, and all with the cultural filter of having originated in the changing face of the Canadian arctic. His music resonates with the sounds of nature, traditional songs, throatsinging, and drumming. This visit has been generously funded by The Alberta Foundation for the Arts, The Canadian Circumpolar Institute, The Faculty of Arts, Comparative Literature Program, The Faculty of Native Studies, and the Canadian Literature Center. This month we are happy to have Tonguebath at the Olive Reading Series. 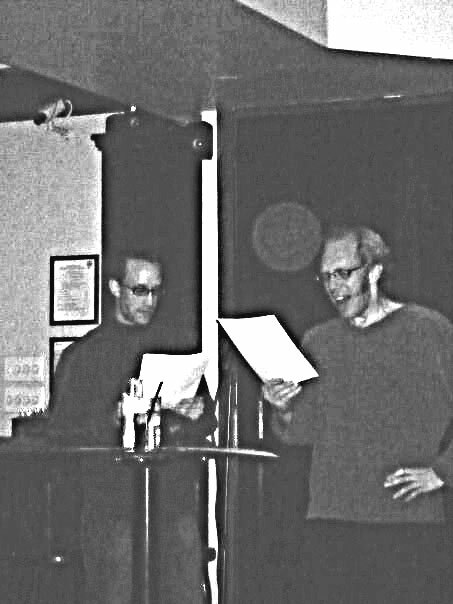 Bio: Tonguebath-the experimental/sound poetry duo of glenN robsoN and Jeff Carpenter-debuted at the 2008 Edmonton Poetry Festival to a nonplussed and ecstatic audience. Up to (and beyond) then, mild-mannered glenN has been working across form and medium-word, sound, and image. In 2009 Red Nettle Press released a limited edition of his first chapbook un. More of glenN’s work can be sampled at www.actionyes.org. Jeff, meanwhile, has been fattening up on the egotistical sublime in his role as acting Acting Director of ARG! the Alberta Research Group. Red Nettle Press published Jeff’s chapbook Malachi on Foot in 2008. glenN and Jeff are long-time Edmontonians with illegitimate fans and timeshares in several possible Patagonias. Please click on the image to view February’s chapbook! See you at next month’s reading! For this month’s Olive we welcome Jordan Scott. We hope to see you there this month! As always, there is an open mic afterwards for interested readers! Bio: Jordan Scott lives in Mount Pleasant, Vancouver BC. He is the author of two books of poetry: Silt (New Star Books, 2005) and Blert (Coach House, 2008). Click on the image to view the chapbook for the month of January. We are happy to welcome Hiromi Goto to the Olive this month. We would love to see you there! 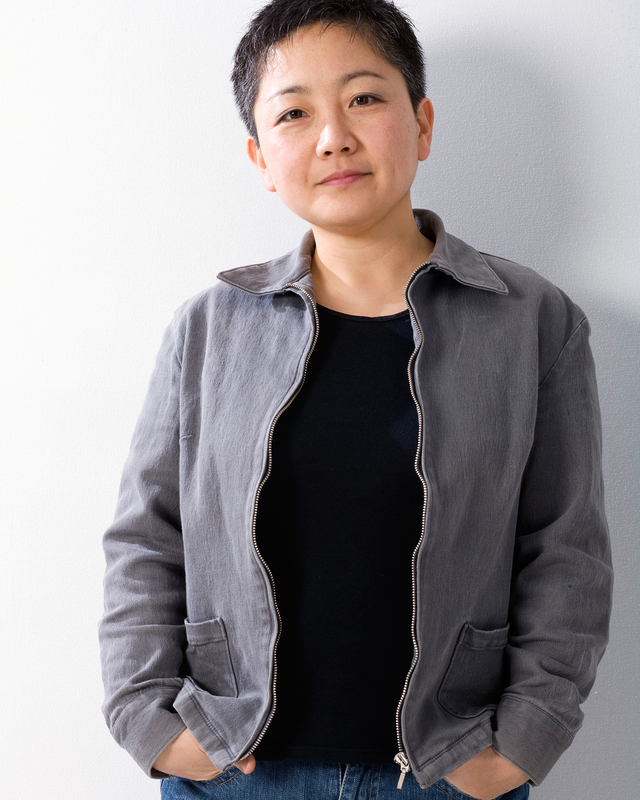 Poet Bio: Hiromi Goto is the award-winning author of Chorus of Mushrooms, and The Kappa Child. She’s also written a children’s novel, The Water of Possibility, and a collection of short stories, Hopeful Monsters. Her recent YA novel, Half World, was published by Penguin Canada, and is pending release in Poland, France and the US. Her latest publication, Wait Until Late Afternoon, is a collaborative long poem written with David Bateman. She is the 2009/10 writer-in-residence at the University of Alberta.